Do you have trouble digesting hummus? Or do you just want to maximize the nutrition hummus can offer? Give raw sprouted hummus a try! Hummus is a staple food in our household. We eat it on sandwiches, with chips, as veggie dip – it’s our absolute favorite! My mom loves hummus too, but unfortunately, she can’t digest it properly. So what’s her trick to keep enjoying hummus? No, it’s not Beano. 🙂 She makes her hummus with sprouted chickpeas instead and eats it without any trouble at all! Why does sprouting chickpeas help with digestion? 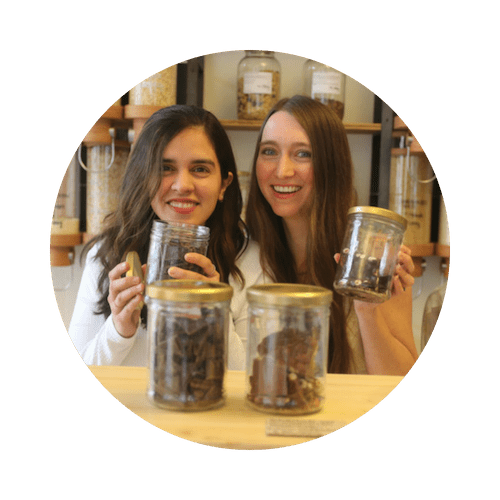 When beans are sprouted, enzymes are activated and break down complex nutritional structures, like proteins, fats and carbohydrates. By doing so, enzymes are essentially predigesting the nutrients to make them more easily digestible and assimilated by our body. Not only is your digestion going to be easier, sprouted chickpeas are also more nutrient-packed than dry or cooked chickpeas, because the germinating beans are at the peak of their nutritional value. They’re rich in fiber, calcium, protein, magnesium, potassium, and vitamins A and C. Nutritious and delicious! Are you ready for a garlic hummus recipe that will blow your mind?! You have no idea just hummus we love it! 😉 It’s raw, it’s sprouted, it’s living food and absolutely delectable! Rinse about 2 cups of raw chickpeas in filtered water. Soak them in filtered water overnight (8-12 hours) in a Mason jar. Fasten some cheesecloth on with the metal ring or use a sprouting lid. Drain out the water in the morning. Rinse the chickpeas with filtered water morning and night for about 2 days until they have a small tail. Make sure the jar is placed upside down diagonally between rinses so that the water drains off properly. Mix all the ingredients in a high-powered blender, like a Vitamix. That’s it! Now you can enjoy your hummus on pita bread or dip a carrot in it. Give this sprouted hummus a try and let us know what the verdict is! Helping with digestion is just one of the many reasons sprouting is beneficial. 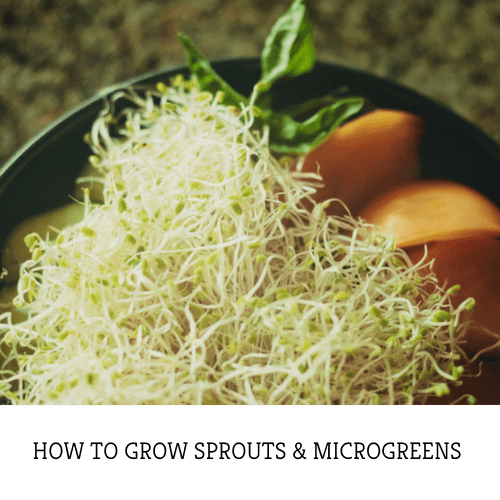 If you are thirsty for more information on the benefits of sprouting, read our post on the Top 5 Reasons for Growing Sprouts at Home. If you’re excited about indoor gardening, you can also check out our ONLINE video workshop “Sprouts & Microgreens: Homegrown Living Foods”. Produce no waste: No need to get high-tech to grow sprouts! All you need is to recycle old jars to use them as sprouters. Make sure even your leftover soaking water has a purpose – your houseplants will thank you! Slow and small solutions: It might take you a few days longer to make this sprouted hummus, but I promise you it’s much more fun and fulfilling this way than to buy packaged cooked hummus from the store. Obtain a Yield: When you grow sprouts, you’re receiving an abundant yield of living food, vitamins, and medicine. Take note of uncommonly noticed yields as well. Perhaps you’re developing, improving or practicing your food-growing skills and taking a first step towards gardening. Use and Value Diversity: There is such a rich variety of sprouts to choose from, from leafy greens, to beans, legumes, nuts, and seeds. Pick and choose from all these categories for optimal nutrition. Maybe add some adzuki bean sprouts to your hummus! Catch & Store Energy: These little seeds have already caught and stored all the energy they could from their parent plant, in order to grow independently. If you’re interested in saving your own garbanzo bean seeds, as opposed to purchasing them, consider growing some of your seeds to maturity.